It is not often that North East features in one’s travel bucket list. The list usually has the likes of Italy, France or New Zealand. But if you love natural beauty and stunning mountains, there is perhaps no other country in the world that can rival the pure innocence of North East. Lofty mountains, gentle rivers, delicious food and a content population, all these and more make North East the scenic destination that it is. As we know that the land of the Seven Sisters – Arunachal Pradesh, Assam, Manipur, Meghalaya, Nagaland, Mizoram and Tripura – still remain the lesser explored states of India. Apart from spectacular tourism, the regions are also renowned for their interesting cuisine, an experience in itself. From strong flavours to colourful dishes, the food of the northeast will definitely satiate a true foodie’s palate. 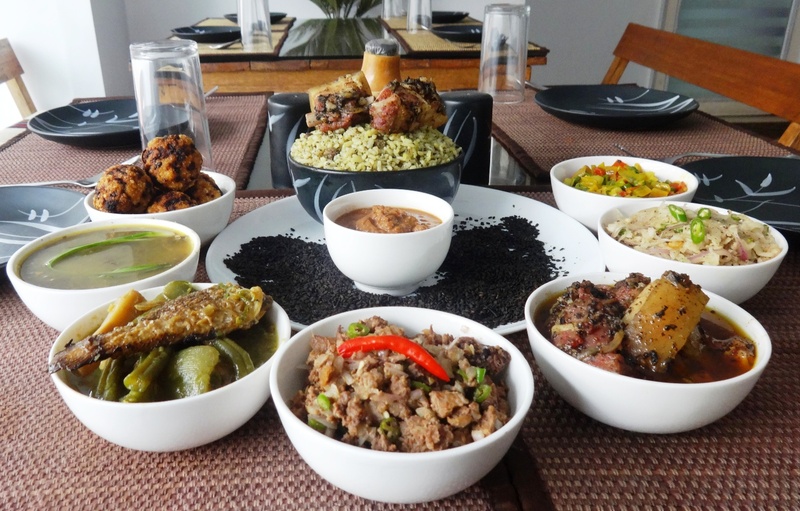 Let me, dispel the myths that surround Northeast Indian food—the cuisines of the frontier states of Arunachal Pradesh, Assam, Manipur, Meghalaya, Mizoram, Nagaland, and Tripura. So I’ll start with the very items that, for most of us, define Indian food: oil and masala. Northeastern food will have none of it. Bland, but also hot; pungent, but also aromatic; healthy, but also fatty—these antithetical adjectives can all be used to describe a meal from the Northeast, which is incomplete without a steaming platter of rice and various green vegetables. Poultry (duck, geese, chicken), beef, pork and freshwater fish provide the protein, but the most defining aspect of northeastern cuisine is the minimal use of spice. A chilli or two (enough to spark the fire), ginger, garlic, occasionally sesame and a few local herbs are all it takes to get that distinctive flavour. Food from the 7 sisters has an exotic blend of spices and taste, and cannot really be described in a few lines alone. The dishes you find here are so diverse in their taste, use of ingredients and style of cooking, that only after a few visits can you be assured of having tasted it all. Street-side shops are usually the best way to get a glimpse of the eating habits of locals. What these vendors sell will always make use of locally available produce, following recipes treasured over generations. Planning a tour to the beautiful northeast of India, but confused about the type of food or cuisine you will get to try out? Now you know what to keep in your mind!!!! This simple yet fabulous dish is prepared with fermented fish, mashed potatoes, fresh green leaves and blazing red chillies. 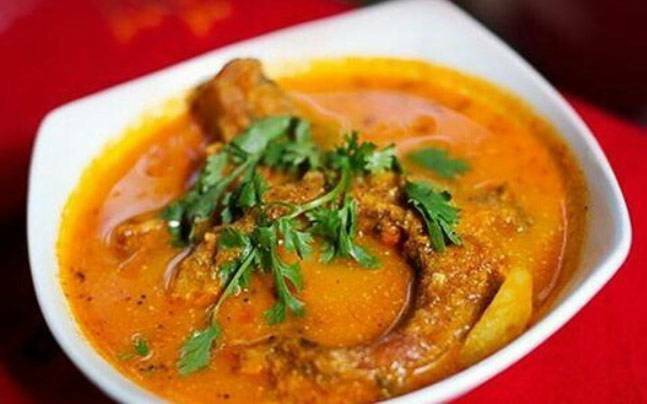 Light, tangy and fishy, Assam’s Masor Tenga is all you’d want to have through the summer. 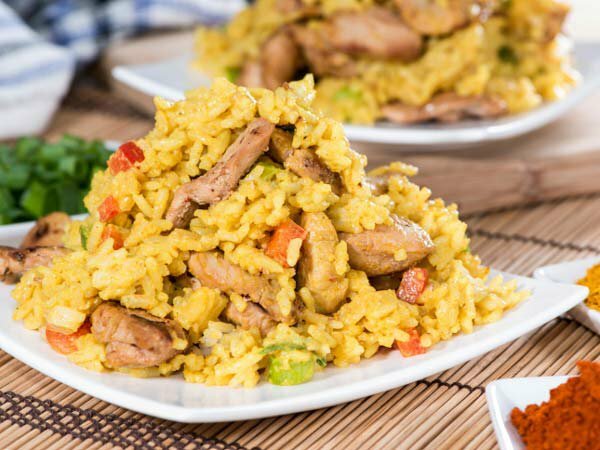 Pork Jadoh or simply ‘Jadoh’ is a rice and meat-based dish widely loved and gobbled in Meghalaya. 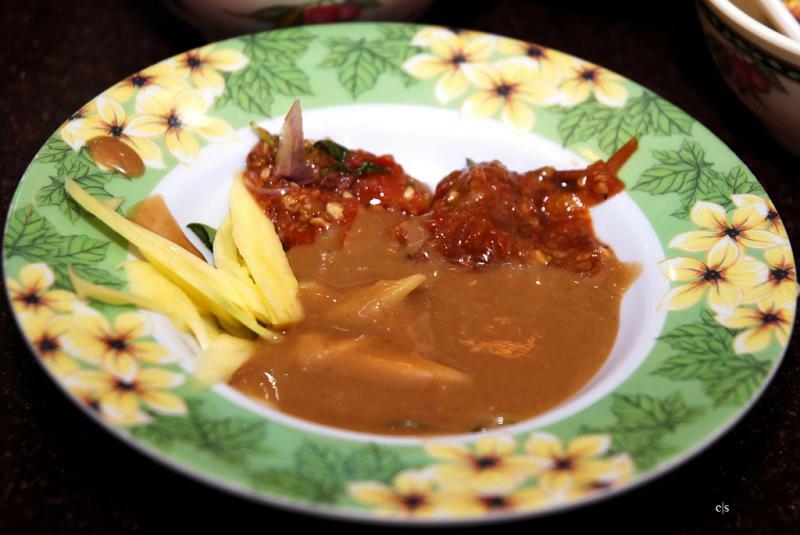 Pork with Bamboo Shoot might be one of the most exotic dishes on this list and is too good to be left out. 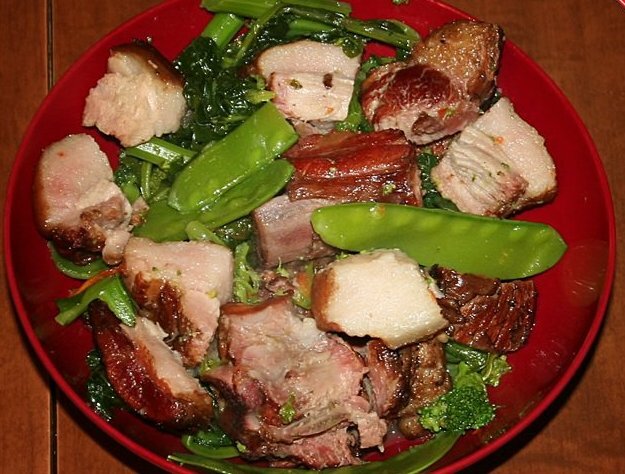 Vawksa Rep is one of the popular pork dishes from Mizoram which is made from smoked pork which is stir-fried with baby spinach, mushroom and Oyster. 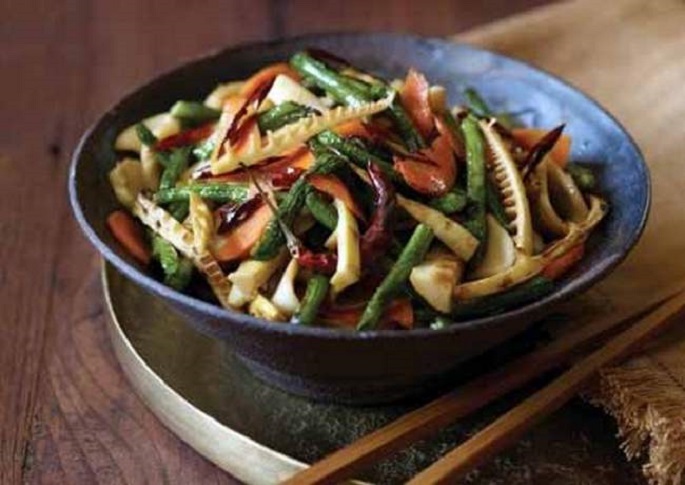 Made with stir-fried bamboo shoots and sliced pork, this dish has a perfect balance of smokiness and lusciousness. The pork is cooked beautifully with a lit bit of moisture in every bite. 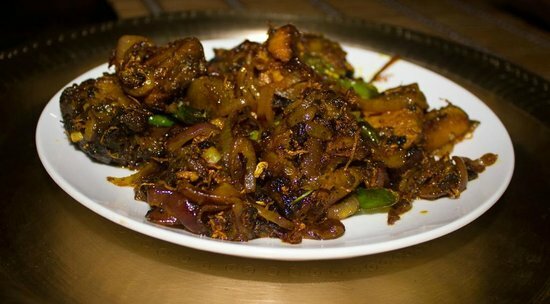 Pika pila is a famous type of a pickle that is mostly made by the Apatani tribe of Arunachal Pradesh.